Recent Hurricanes Harvey and Irma, along with major earthquakes in Mexico, remind us how vulnerable we can be to disasters, and underscore the importance of data protection to all our clients in the Inland Empire and Southern California Area. 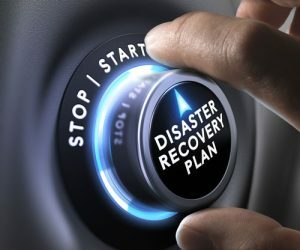 As businesses depend on access to a range of systems–including call center, communications and collaboration application, customer management, and more–having a solid data protection plan can help you in a disaster recovery scenario. Now more than ever, a range of options exist to help maintain business continuity. Here are a few options to consider. Key to your data protection plan is identification of mission-critical systems. The most important systems should be redundant, with the ability for failover in the event of a disaster. Your data centers and failover options should be geographically dispersed and on different network backbones. This can minimize downtime and get you back up and running sooner. Having your data backup available in Cloud Storage can help you recover other important files and application data if you lose access to your on-premise systems. Software-defined wide area networks (SD-WAN) can also provide you a highly reliable and redundant network. Having the ability to switch Wide Area Networks using SD-WAN as an alternative to more costly MPLS solutions can ensure connectivity during a natural disaster. What’s more, Software-Defined Wide Area Networking can save you money in the long run by giving you the flexibility of a multi-carrier solution. More businesses are turning to the Cloud for a range of applications–hosted email, Voice over IP (VoIP), Call Center, and others–to keep communications flowing during a disaster. Using Software as a Service (SaaS) for these important communications and collaborations applications keeps your employees, customers and business partners connected even when you are unable to gain physical access to your facilities. Having these applications in the Cloud can help you ensure everyone on your team is present and accounted for. Don’t wait until a disaster strikes to review your data protection and disaster recovery plans. Contact Netgain Networks at 855-667-2364 today if you are unsure how well you will weather the storm.